It was a surprising year in Gainesville for the Gators in 2012. With no proven quarterback and questions about playmakers the Gators still managed to win 11 games and make the Sugar Bowl. With Jeff Driskel returning along with a number of impact players on both sides of the ball their is enough talent to make it back-to-back BCS bowls for Florida. Backfield: Although the Gators did win 11 games their offense was atrocious for much of last year. In order to take the next step Florida really needs to find its passing game and that starts with junior Jeff Driskel. Driskel was a very good scrambler rushing for 413 yards. Though he only passed for 1,646 yards and the Gators had their worst passing game in terms of yards since 1989. He should mature and feel more comfortable this year. Though in order to have success he has to stretch the field which he didn't do much last season. Florida must replace Mike Gillislee who was the most important player on last year's team constantly picking up tough yards. Sophomore Matt Jones and junior Mack Brown will compete to replace him. Jones picked up 3 touchdowns in 2012 and has proven he can fight through contact and has pretty good speed. Explosive Trey Burton should play a number of spots and will be sure to get carries. With Driskel and Burton's running ability even if Jones struggles the ground attack should be solid. Receivers: Junior Loucheiz Purifoy was moved from cornerback to receiver in the hopes he could improve the offense. He is shifty and has some great speed and make plays downfield. If Driskel can get him the ball he should have a big '13. Junior Quinton Dunbar is the Gators' leading returning receiver after catching 36 balls for 383 yards ago. He made some big strides in the spring and appears to be more of a leader. Senior Andre Debose hopes to be more of a playmaker after a mediocre junior season. The Gators also lost an important piece to their offense when Jordan Reed graduated. Junior Tevin Westbrook could take over for Reed but Clay Burton should also contribute. Both might not be as effective as Reed though both can move the chains. Offensive Line: In order for this offense to become stronger the offensive line should also be key. It isn't bad group though it does need some work along it. Sophomore D.J. Humphries is big and quick and tough to push off his spot. He should play an important role as he must protect Driskel's blind side. Also starting on the left side should be guard Max Garcia, a transfer from Maryland. In his true freshman year with the Terps he started all 12 games. 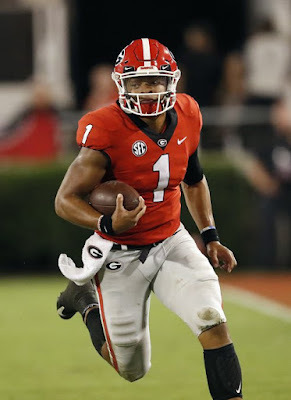 Although it is likely he will face better pass rushers in the tough SEC he has the talent and ability to be fantastic. On the opposite side the Gators will also be relying on some youth. 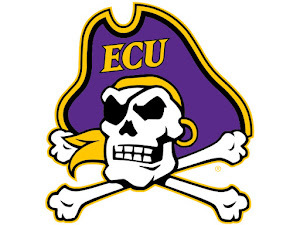 6-6 sophomore right tackle Tyler Moore is a monster when he is on his game but he is inconsistent. He should be able to fix that with more snaps under his belt. In the middle Florida has some much needed experience with senior center Jonotthan Harrison and right guard Jon Halapio. Defensive Line: The Gators defensive line has taken some losses though it is a strong unit. Shariff Floyd is now a Minnesota Viking and he leaves a big hole in the middle. Senior defensive tackle Dominique Easley is great at filling running lanes and can also provide a little bit of a pass rush, recording 4 sacks in 2012. Moving from end to tackle shouldn't hurt his production in any way. Massive junior Leon Orr should be the top candidate to replace Floyd at the nose tackle position. Another junior, Darious Cummings, should also get a chance to contribute right away. Two sophomores, Jonathan Bullard and Dante Fowler, look like they will be the starters at the end spots. 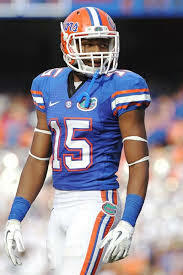 A freshman Alex McCalister should also get a chance to be an important part of Florida's defense right away. Linebackers: Gone in the linebacker corps are Jonathan Bostic and Jelani Jenkins. Junior Ronald Powell has a great mix of size and speed and is a great pass rusher. He has a lot of speed and is quick to make tackles on the perimeter. Sophomore Antonio Morrison looks like he will replace Bostic at the middle linebacker spot. He is a very hard hitter and can plays all over the field, making tackles and providing a nice coverage 'backer. While Powell starts at one outside linebacker slot it looks like Michael Taylor will man the the other one. A pair of freshman should be impact players from the start. 6-3, 230 pound Alex Anzalone can compete for snaps at the middle and outside linebacker positions. Daniel McMillian should also compete for playing time from the start and can constantly make big plays. Secondary: Teams shouldn't be able to pass against the Gators very often in 2013. Florida returns a senior leader in Jaylen Watkins who had 3 interceptions a year ago. He is a ball hawk who reads quarterback's eyes very well which helps him get picks and pass deflections. Purifoy might also have the chance to play at cornerback which he was very great last year, racking up 51 total tackles. He is so tough and has the stamina and talent to possibly go both ways. If he isn't playing cornerback expect senior Jeremy Brown to play alongside Watkins. Freshman Vernon Hargreaves III is the star of this secondary for the future but might not play a ton early. He has fantastic instincts and is very quick and is tough to beat down the field. The real weakness for this secondary is at both of the safety spots. Matt Elam is off to the NFL and Josh Evans is also gone leaving some big holes. Juniors Cody Riggs and Jabari Gorman should get the chance to start in their absence. Sophomore Valdez Showers has a ton of potential and should push Gorman at the strong safety position. 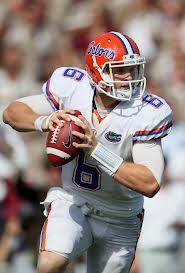 If the Gators can find their groove on offense they should contend for their first SEC crown since the Tim Tebow era. With Purifoy and a proven strong ground attack a great bowl is still not out of the question.